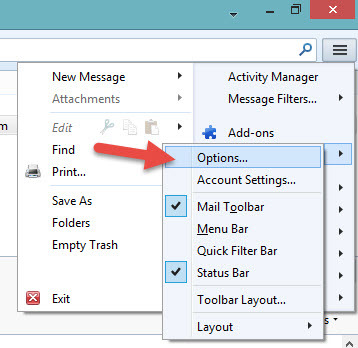 If you are a thunderbird user, then you might have noticed that thunderbird won’t load images automatically unless you add that send email address to your contact details. But adding sender address again and again is really not a good idea, moreover if you receive a lot of mails from new sender then this is not a good option. and a button named Show Remote Content. We can load images by two ways here. One temporary method and another one is the permanent method. If we click Show Remote Content button, then images load only on this mail, and it won’t load any image on upcoming mails. If we want to load images automatically from this sender on all upcoming mail as well, then add the sender email address to your contact details by clicking “Always load remote content from sender@domain.com”. What if you want to load images or remote content automatically on all mails without actually adding sender mail address to your contact details or without clicking Show Remote Content button? There is a way for that to achieve it. Before explaining that process, let us know why thunderbird won’t allow to load images automatically on mails. Thunderbird disabled loading images intentionally, because when any user opened any mails the sender can get where this email is opened, when it is opened and few other details if he is using tracking in that mail. The sender can get all those details only when you load that images. For this purpose Thunderbird don’t load images automatically for all mails that you receive. If you care about your privacy, then think before enabling auto load images or always show remote content feature in thunderbird email client. If not, then go a head. I’m using the latest version of Thunderbird, that is Version 24.2.0 in this tutorial. 5. 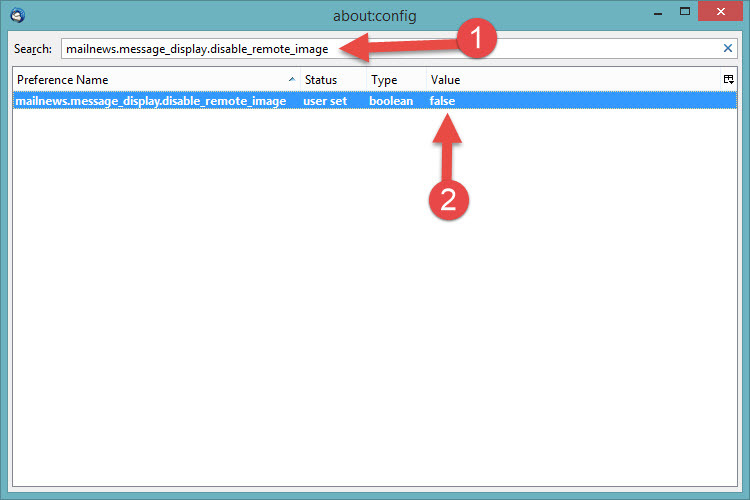 Now in about:config search box, search for mailnews.message_display.disable_remote_image entry. Once you got the result just double click on it anywhere on that result. You will see Status value changed from Default to user set and Value true to false. Once you changed that value close the window and click OK button. 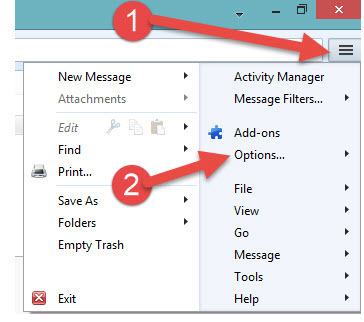 Now all the mail that you receive on your thunderbird will automatically load remote content or images without showing any warning or pop up message. I used your suggestion to fix Thunderbird not loading/displaying images but it still does not work. It eliminates the “show remote content” message but images in some emails still do not display (some emails display images OK). The errant email correctly shows images in gmail. Tried EVERYTHING to get TB 24.5.0 to display remote images, including the fix suggested here … not only does this fix not work, but the “show remote content” button has disappeared as well … was happy to use that button if I wanted to view remote content of a particular “junk” email … any ideas how to get this button back? Running Win 7 on a 64bit machine. For some reason, TB is giving me a lot of problems. Deleted all archived posts. I just lost about 30 email posts that had just been saved to my Archive folder. Now they’re gone, overnight. I don’t understand this behavior and on top of that, for some reason I can not find where to select or deselect “remote content” the selection is hidden or something I can’t find the function. 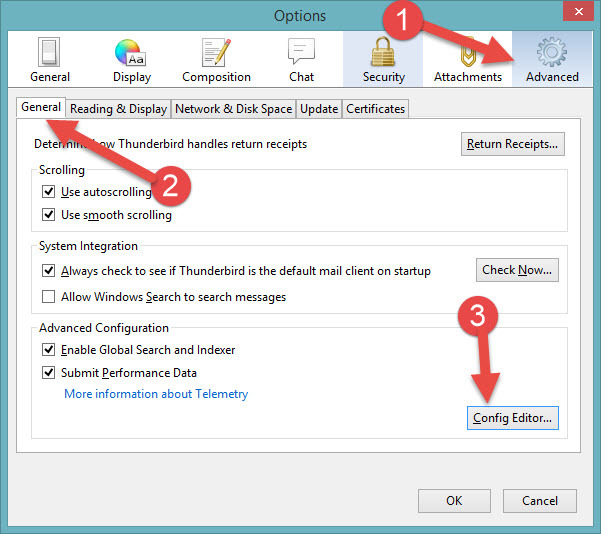 Why don’t you remove thunderbird fully and reinstall new setup? It could solve your issue I guess.